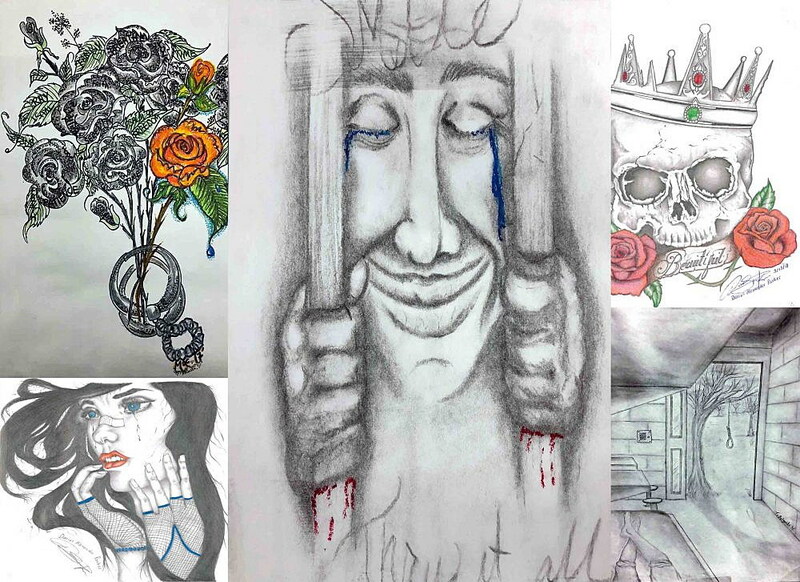 Art by inmates at the Missoula County Jail will be displayed on First Friday at Missoula First United Methodist Church, 300. 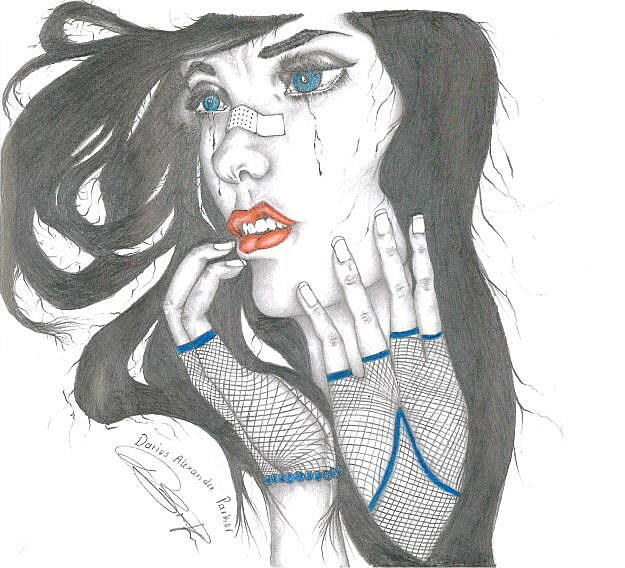 E. Main St., from 5-8 p.m.
For some, the drawings tell a story of depression and mental health challenges. For others, it’s a tale of struggle – against substance abuse or family violence or a lifelong lack of basic needs. For all, the artwork is a needed release that helps them cope with all that’s happening in their lives, relieves stress and even supports them spiritually. 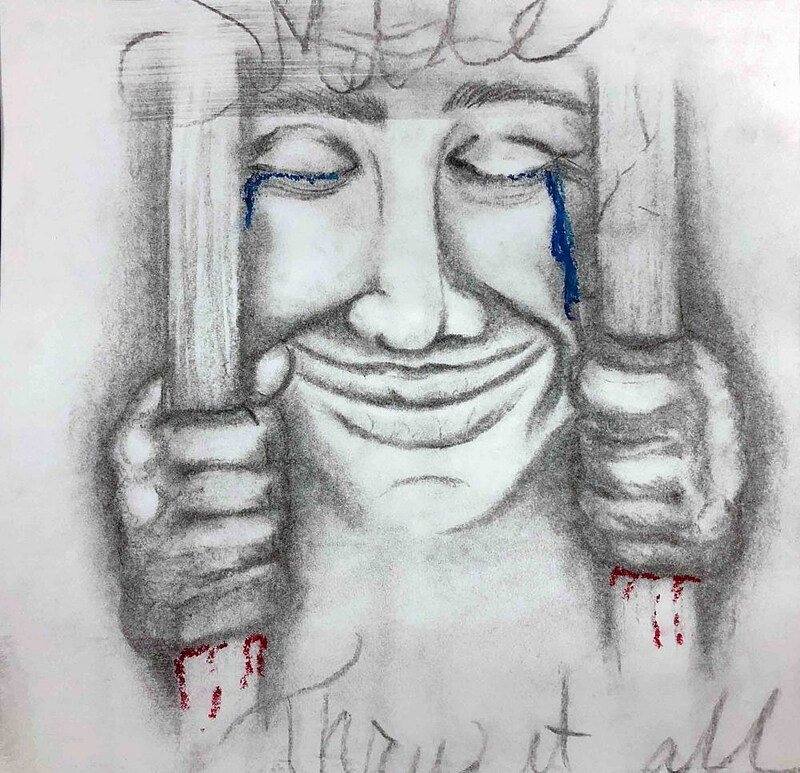 On Friday night, the sketches and posters created by inmates at the Missoula County Detention Facility will have their first-ever showing to the general public, an effort to educate those on the outside about the challenges of incarceration. 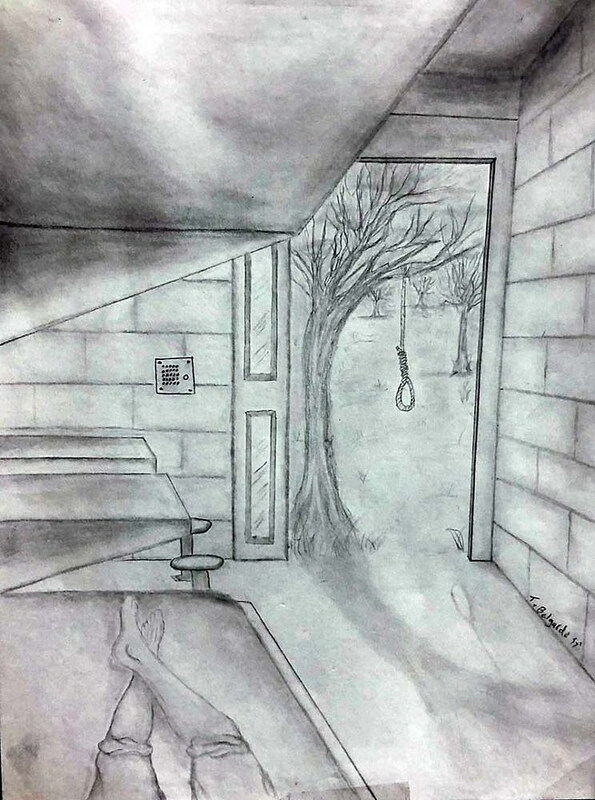 “It was really something that inmates brought to our attention as something they really wanted to do, is to have the opportunity to draw and have art supplies and just kind of [have] this open, loose opportunity to express themselves in a non-therapeutic, freeform atmosphere,” said Amy Chesebro, the Western Montana Mental Health Center’s jail diversion program manager. Like so many projects, it began as something much more limited. Suicide is the number one cause of death in jails in the US. The 40 pieces of art, created using paper, posterboard, colored pencils, markers and other supplies donated by the community, will be accompanied by facts and statistics about incarceration and specifics on the unique issue each piece portrays. The goal of the show is to educate observers about the issues while also trying to humanize the inmates and lessen the stigma that they face. Jana Staton, an organizer for Partners for Reintegration, said the public should try and understand those who are incarcerated because most will be returning to their civilian lives. “We tend to reduce people who might be in the jail to one-dimensional stick figures — they’ve done something wrong,” Staton said. She said that inmates have families and jobs of their own, and that many don’t realize their lives have been interrupted. “I think this kind of work allows them to, in some ways, express themselves, and who they really are in their full dimension, and to have a voice for what bothers them,” she said. The coalition helps inmates who are transitioning back to society with finding housing, health care, employment and other connections while also advocating and educating people on the misconceptions surrounding incarceration. The Missoula County Detention Facility solicits donations of supplies from the community to provide inmates with the opportunity to create artwork. The Western Montana Mental Health Center, located at the Missoula County Detention Facility, is facilitating the art show. It provides mental health screenings, case management, addiction support and other services to those who are incarcerated. It’s part of the bigger Jail Diversion Master Plan, Chesebro said, which was created in 2016 to address overcrowding in the jail and reduce the number of non-violent offenders who are incarcerated there. The program supports inmates up to three months after they’re released, ensuring they make the connections they need to stay stable in civilian society. “We really try to provide these wrap-around services in order to help individuals be the best version of themselves, whatever that means to them,” Chesebro said. Isolation is usually what leads a person to recidivism, or to reoffend, and can also lead to depression. Suicide is the No. 1 cause of death in jails in the United States, Chesebro said. Nationwide, one in three inmates have a severe mental illness, and supporting them after release is vital to reducing jail overcrowding, she said. Missoula County received a $700,000 grant through the John D. and Catherine T. MacArthur Foundation in October that will be divided up to address six strategies within the Jail Diversion Master Plan. The grant is part of a national initiative to reduce over-incarceration. One strategy looks to fund two new positions at the Western Montana Mental Health Center, a full-time licensed addiction counselor and a case manager. Many inmates are low-risk, non-violent offenders who just need extra help, Chesebro said. It’s all about keeping inmates from reoffending and helping them transition, said Erin Kautz, grant administrator for Missoula County. Jails will always be needed, she said, but trying to figure out the most productive ways to help inmates in and out of the jail is the goal. “If we’re putting people in jail that could be better served through other purposes so that they don’t recidivate, so they can get out of the criminal justice system, then that’s the most important thing,” Kautz said. Money from the grant will be dispersed in the spring, and will likely address other strategies like education and outreach about racial disparities, a public safety tool that will assess if an inmate is a low-risk, non-violent offender, and a criminal justice coordinating council that will oversee the grant disbursement process and plan progression. The inmate art show will be held as part of December’s First Friday in Missoula’s First United Methodist Church, 300 E. Main St., on Friday, Dec. 7 from 5-8 p.m. The event is free to the public.